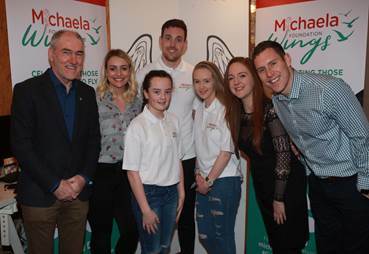 The Wings Awards are open to young people in Ireland from all communities, aged from 11-24, and they do not need to have had any previous affiliation with Michaela Foundation. There are so many ‘bad news’ stories about a small percentage of our youth and the Michaela Foundation would like to turn this around and celebrate our young people who are motivators within their local community. Each Wings Award recipient will receive a £250 bursary to spend on themselves and/or their community. In return, each recipient will feature in video blogs throughout the year, documenting their achievements and how they’re utilising their bursary.